It’s no secret that trends come and go. That’s why we carry a large selection of quality eyewear from top designer brands to make sure our patients get the latest and coolest looks for each season. Your eyes are a window to your health! We go beyond the standard of eyecare. Our state of the art technology helps us evaluate your eyes to determine your overall health. Some of the common diseases that can be detected through eye exams include diabetes and high blood pressure. We understand that our busy lifestyles can sometimes get in the way of basic activities that can help us into a healthier lifestyle. For that reason, we actively support and encourage those who embrace this beautiful Florida weather and face our relentless sun in order to remain active. As one would notice, we really love sea turtles! Turns out our beautiful beaches serve as critical nesting grounds for endangered sea turtles. 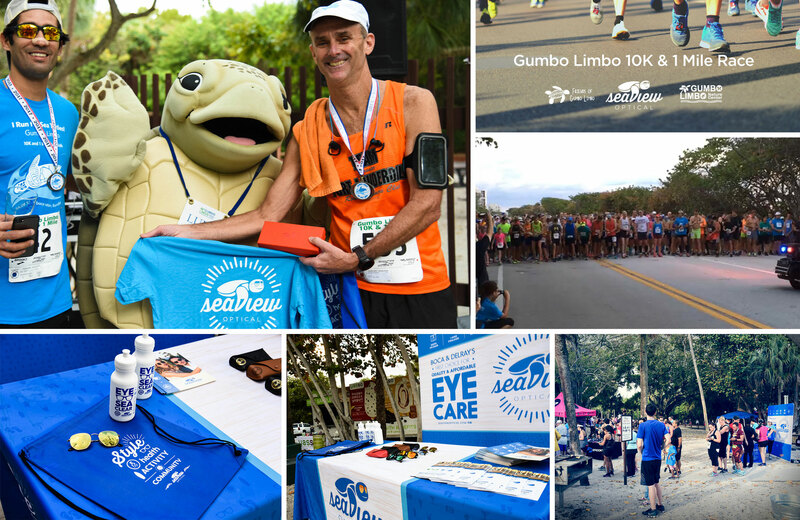 We embrace our community by supporting local foundations dedicated to wildlife preservation along our coastlines. We’re also active in using our own resources to help create awareness to sea turtle preservation in our local beaches. We really love sea turtles! Turns out our beautiful beaches serve as critical nesting grounds for endangered sea turtles. We embrace our community by supporting local foundations dedicated to wildlife preservation along our coastlines. We’re also active in using our own resources to help create awareness to sea turtle preservation in our local beaches. Fun Fact: Sea Turtles have color vision! Sea turtles have very good eyesight and use it to hunt for food and to detect and avoid their predators. The beaches of Palm Beach County are not just a favorite spot for tourists.  Each year they are home to the highest number of Leather-back Turtle nests and the second highest number of Loggerhead and Green Turtle nests in the country. Sea turtles usually nest at night from early March to late October. One of the biggest dangers to nesting females and hatchlings comes from beachfront lighting. Visible artificial light can deter females from nesting and also interfere with the hatchlings journey to the sea. The hatchlings are attracted to the source of brightest light, optimally; the reflection of natural light on the water, and the brightness of a spotlight, streetlight, or even a flashlight can confuse the hatchlings and misdirect them from their trek to the ocean, threatening their survival. Less than 1 in 1,000 sea turtles survive to adulthood. Please pick up litter on the beach and properly dispose of your trash. Be part of the community! 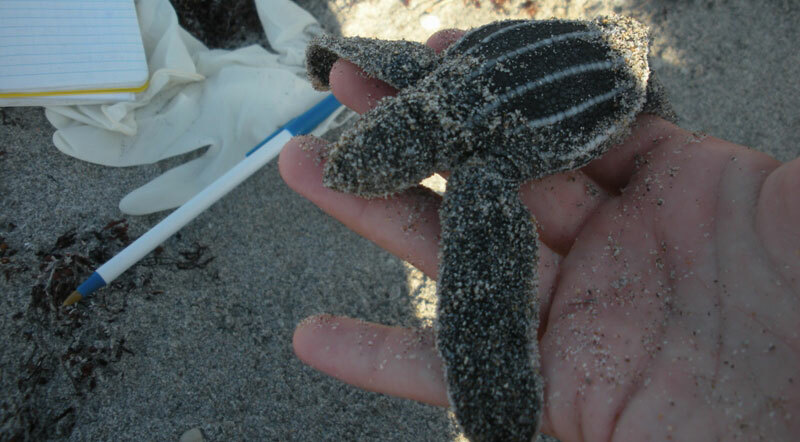 Contact our friends at Gumbo Limbo and see ways to get involved in sea turtle preservation.